My first post about new features in the SQL Server Denali CTP1, aka "Engine of the Devil", was going to be about SSIS package deployment until I noticed this little nugget: project protection level. It's like someone tweeted earlier: it's the little things, undo and redo that make this a better release. There are steps I take every time I spin up a new package: logging, configuration, transactions, and set the package protection level. 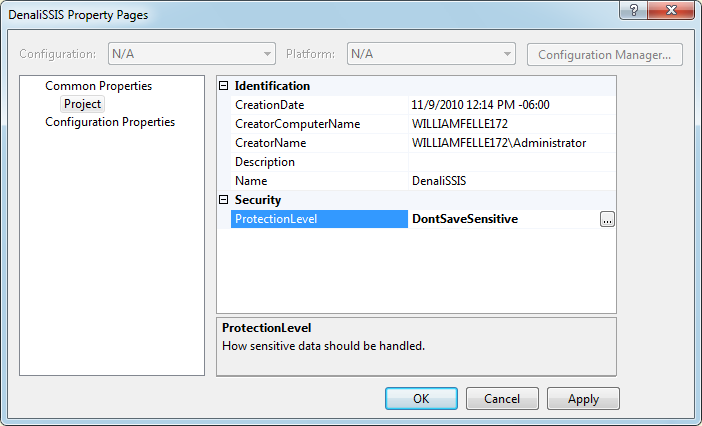 Full disclosure: I have never had cause to use anything but "Don't save sensitive." In v.Next, I noticed a new option in the project properties. 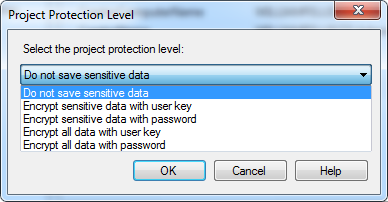 You can now define the SSIS Project Protection Level. Simple, yes but now I will have one less thing to worry about when junior developers or outside contractors develop SSIS packages.